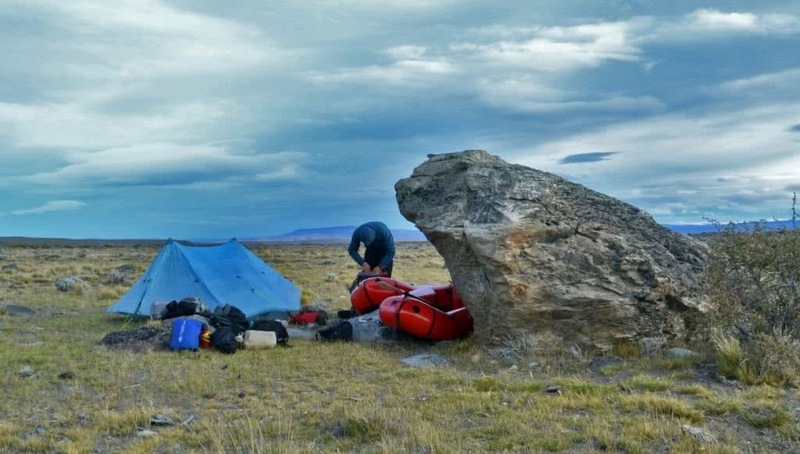 Modern packrafting has been around for a while- Roman Dial used one in his win of the 1983 Alaska Mountain Wilderness Classic, and packrafts are increasingly used by everyday adventurers in their microadventures. International packrafter, photographer and writer, Luke Robbins, gives us 7 tips on how you can start to call yourself “a packrafter”. Sounds obvious enough, right? Buying a packraft is no small commitment – they cost plenty more than your average pool toy. Depending on which brand you go with it is important to make sure you get the one that is right for you. Packrafts come in different sizes and are built for different functions. Are you using it for white water or lake touring? Do you need a spray skirt or are you happy getting a bit wet? Are you counting grams or do you want all the trimmings of a self-bailing, spray skirt and built in cargo deck inflatable boat? Be sure to do your homework and don’t be disappointed. 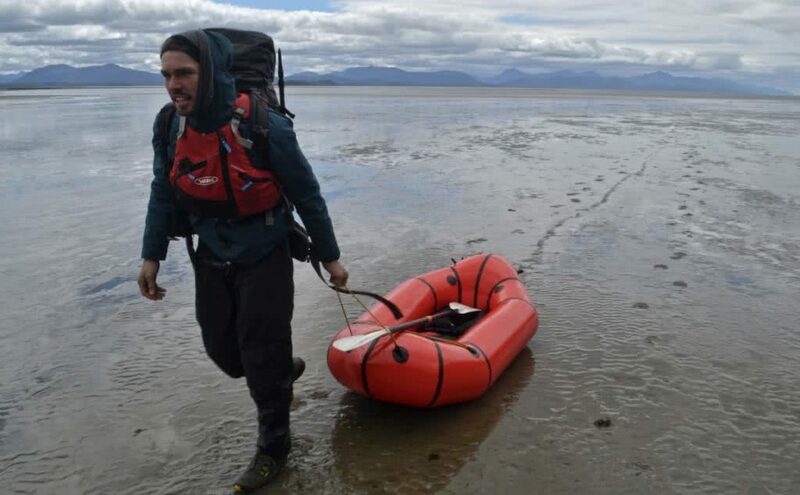 Alternatively, there are a limited number of Australian based companies that do rent out Packrafts if you prefer to try before you buy. Packrafting is for everyone – it requires very little technical knowledge and can be picked up in less that a day. Take your new (or borrowed) raft to the beach, a local lake or an easy going flat-water river and get going. The rafts themselves don’t require you to know how to execute a roll (though it can be done) or be a world class paddler. Barring any whitewater or dangerous seas, the world is your oyster – don’t be limited by lack of experience. For me, the joy of pack rafting comes in that moment when you reach the lake, fjord or river after days of hiking, pull the boat out of your backpack, inflate and paddle away. Such an experience is not possible without some basic skill sets. If you are not already proficient in the outdoors, it’s time to rectify that. As a starting point make sure you know how to navigate with map and compass, multi-day trek and camp and the basics of outdoor survival. When you are more capable of handling varied terrain your packrafting options increase tenfold. The point of packrafting is to utilise any traversable body of water to achieve an end goal – want to explore the mountains? Can you paddle in on a river? Cross a lake? Float out as an exit strategy? 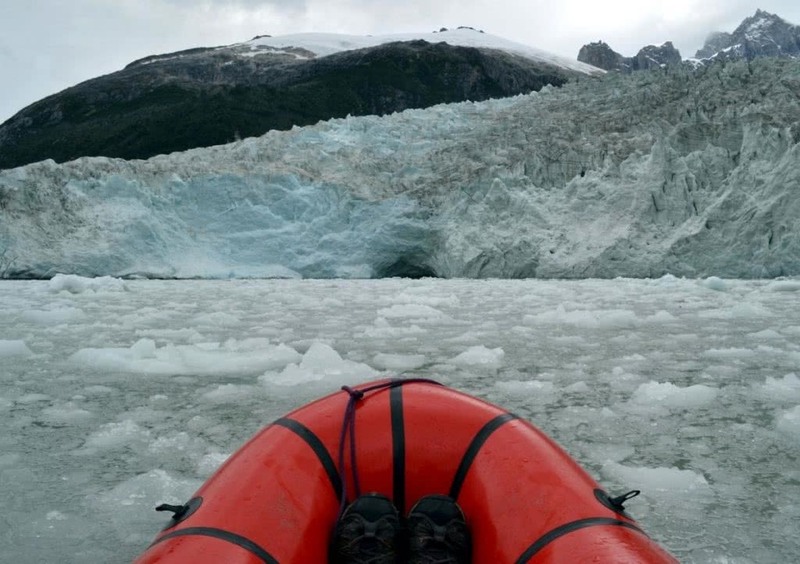 One of my best trips was around the Northern Patagonian Icecap with a friend. 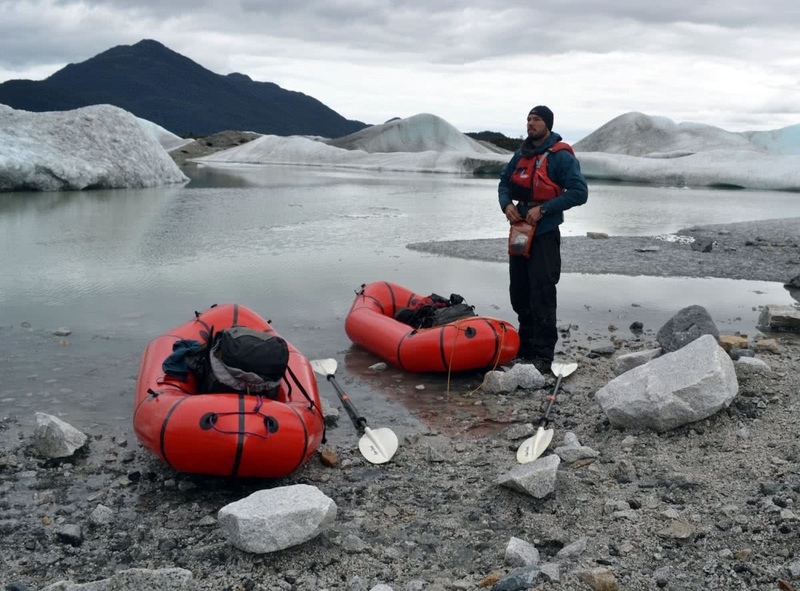 The packrafts were critical – we paddled the fjords, glacial lakes and used rivers to travel quickly. On foot the trip would have been impossible. 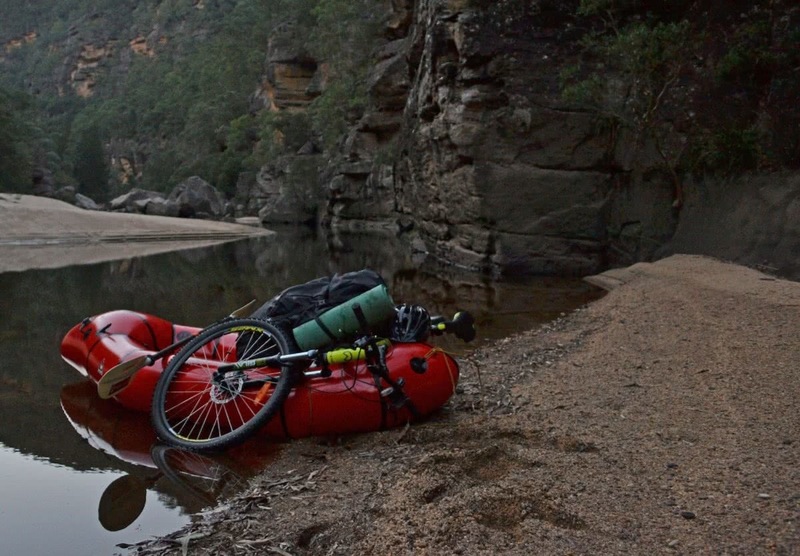 At the other extreme I have also used the same raft to explore around Sydney Harbor and completed bike-rafting trips in the Blue Mountains. Next time you are planning a hike think to yourself “can this be linked up to a river trip?” Conversely, add a hiking element to a river excursion – can you hike in and hike out? Trip creating is more art than science – be sure to push your own creativity. Bike-rafting, ski-rafting, pack-rafting… If there’s a way to use a packraft there is sure to be a trendy shorthand to describe it. A packraft is a tool that can be used to make an existing passion even better. Hiking is the obvious example but what about cycle touring? You can pack up your bike and strap it down to the front of the raft. Doing some deep wilderness exploration? Is there a river system that can be used to access the area? If you are on a canyoning trip can the day be finished with a paddle out instead of a long hike? A packraft and collapsible paddle pack down to around 20cm X 60cm – fitting in a medium sized backpack with any other kit that you need. Being based out of your backup makes public transport a useful tool when planning out your adventures. If you are based in Sydney the transport network opens up a lot of options. Sydney’s urban waterways are fun city-based day adventures whilst the train network can get you to the Blue Mountains or the Royal National Park. The north Ku-ring-gai Chase National Park has a plethora of brackish creeks that are perfect for flat-water paddling – just a train and a short hike from the city centre. If you live elsewhere – grab a map and start your own exploring. Linking up different public transport options can be part of the challenge of creating your own unique adventure. The same rules apply for international travel – packrafts are small enough to fly and backpack with. There is nowhere a packraft can’t go. As already mentioned I have taken mine to Patagonia twice now. 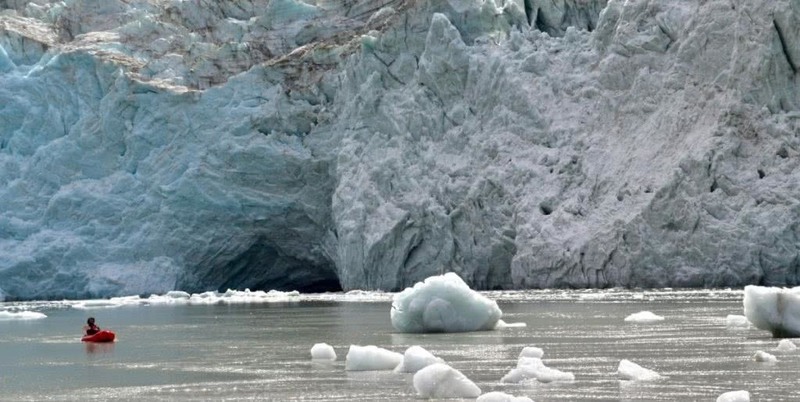 The raft has opened the door to accessing some incredible and remote glaciers, alpine lakes and river runs. Later in the year I plan to take it to Europe as a cheap means of travel – exploring the continent’s waterways. 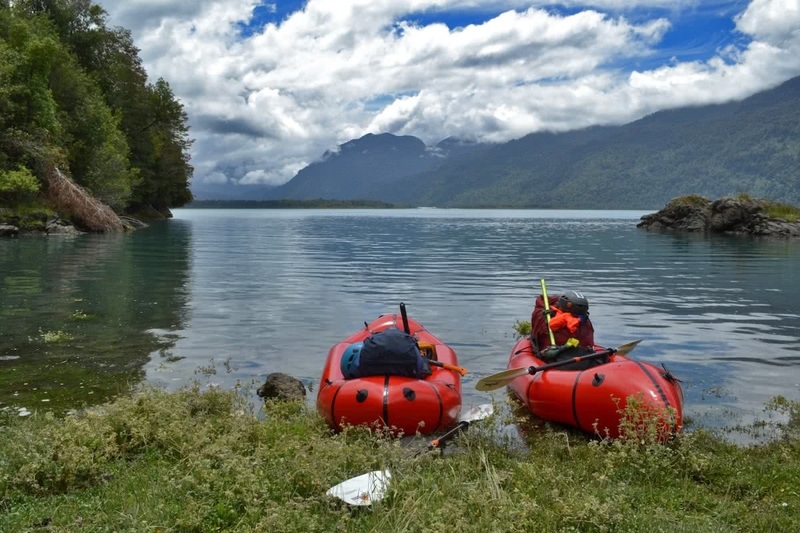 The possibilities are nearly endless – wherever you want to travel in the world there is sure to be an opportunity for a packraft-based adventure. Need some more inspiration to get you out there?